HSSC Group D Result 2018: Haryana Staff Selection Commission (HSSC) has recently completed the Haryana Group D Examinations on 10th, 11th, 17th, and 18th November 2018. A huge number of candidates attended for the Examinations and those candidates are waiting for their Exam results. 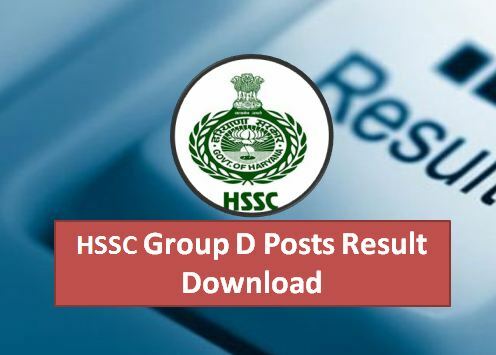 HSSC Group D exam results released in the month of December 2018. 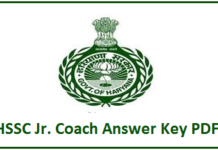 Haryana Staff Selection Commission (HSSC) has recently released the recruitment notification of Group D posts on its Official website hssc.gov.in. The Total Number of vacancies are 18218. A huge number of candidates applied for the Jobs and attended for the Examination. Those candidates are eagerly waiting for their Exam Results 2018. Here is the good news for the Candidates that Haryana SSC Group D exam results will be released in the month of December 2018. So all the candidates can download the results from the Official website and also from Jobsbadi.com. Haryana Staff Selection Commission has completed the HSSC Group D examination on 10th, 11th, 17th, and 18th November 2018. The Examination conducted for 18218 Posts. The Name of the Posts is Group D Posts As Peon, Beldar, Helper, Mali, Cook & Others posts. Candidates who applied for the Jobs were attended for the Examination and Now they are waiting for their Exam results. Log on to the Official website hssc.gov.in. Search for HSSC Group D Result 2018. 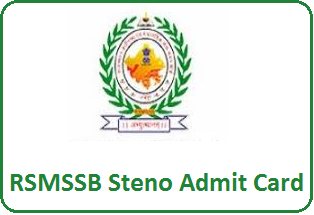 Enter the required details like Admit card Number and password.